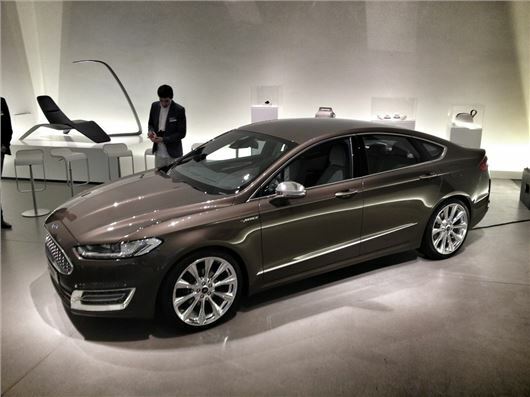 Ford has premiered the Mondeo Vignale concept, which shows off how the top-of-the-range models in the next generation Mondeo range will look. 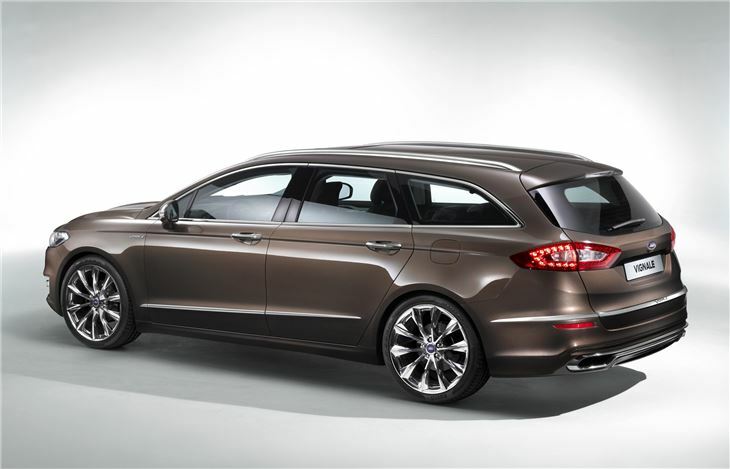 The Vignale trim level will be introduced across several models in the Ford range, and as well as a luxury equipment level, will also be backed up by special dealer and customer services. 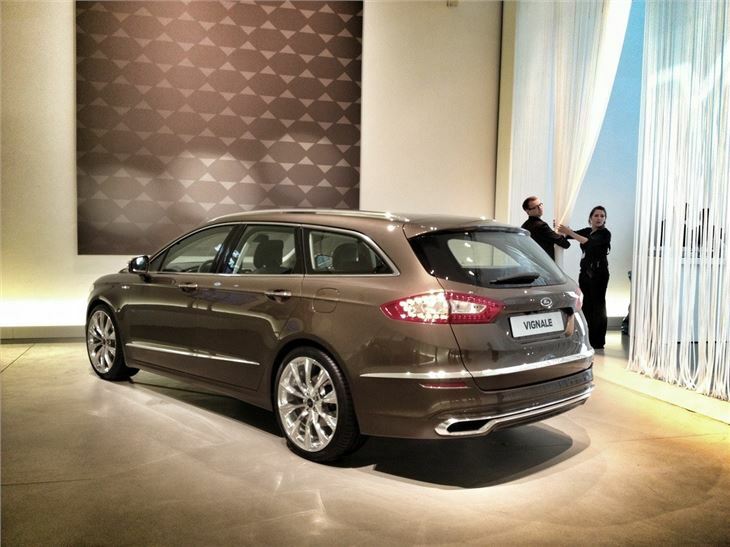 But for now, the concept gives us a great idea of how the production Vignales will look. 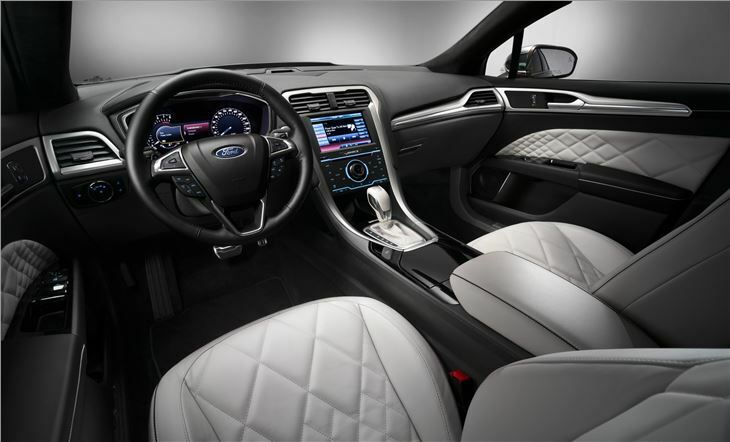 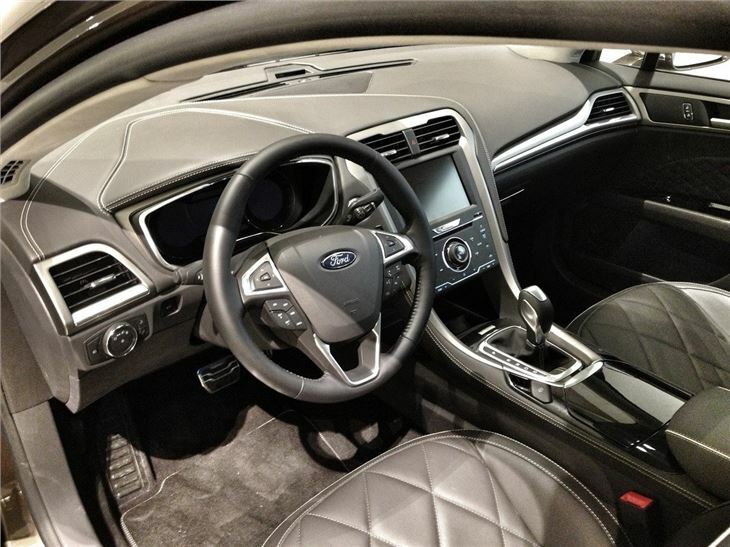 In the Mondeo concept, the cabin is trimmed in quilted, soft touch leather with plenty of brushed aluminium and chrome details. 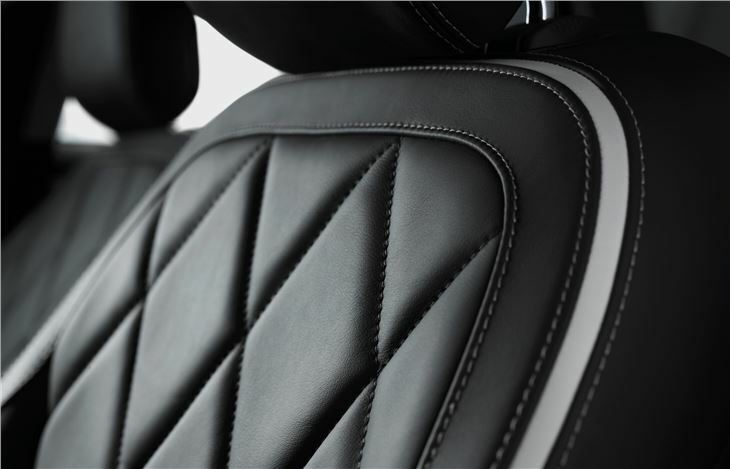 The emphasis is on tasteful trim colours and materials, which have been especially selected to appeal to buyers in the luxury sector. 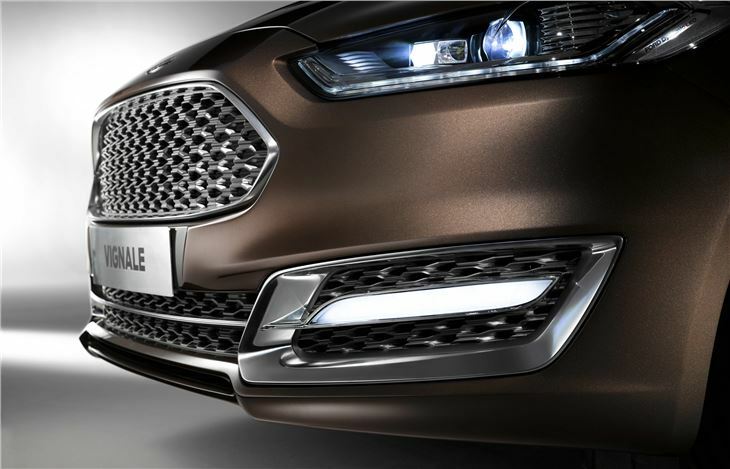 The exterior styling has not been left untouched, and the Mondeo concept has Vignale styling details, such as chrome-finished 20-inch alloy wheels, upscale badging (without the word Mondeo to be seen anywhere), and an interesting new eggcate-style grille.